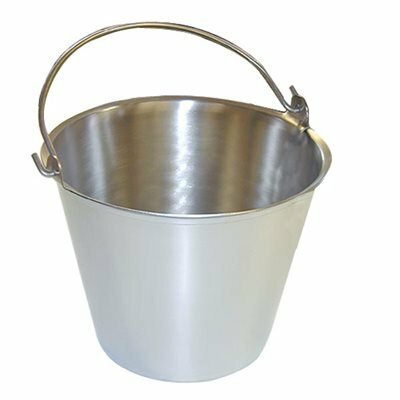 Our pails are made from grade 304 and 316 stainless steel - highly polished on the outside and satin finished on the inside. All pits or cavities are removed from these surfaces which might trap moisture or bacteria. A truly premium pail and made right here in the USA. If you have any questions about this product by The Dairy Shoppe, contact us by completing and submitting the form below. If you are looking for a specif part number, please include it with your message.